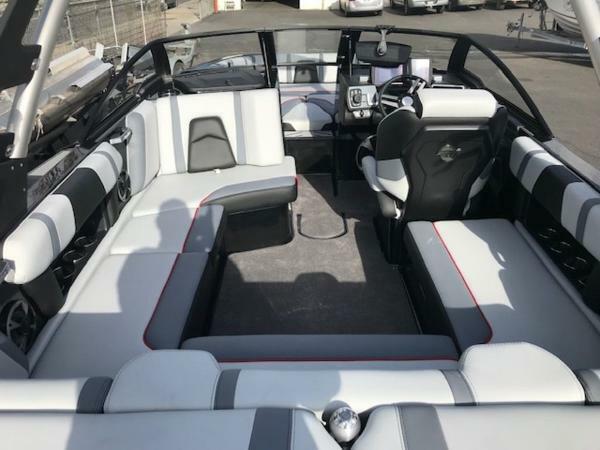 2019 Malibu Boats 21 MLX ELEVATE YOUR EXPERIENCE Released in 2018, the 21 MLX is one of the most advanced wake boats on the market and it comes at an incredible value. Built with the quality Malibu is known for, the 21 MLX has a pickle-fork bow and comes standard with everything you’re going to need to make a massive dent in the water for wakeboarding and surfing. Seating for 14 means you’ve got plenty of space and the big bow means you’ve got a separate social zone where the kids (or adults) can comfortably hang out. Features may include: WAKE PLUS HULL Malibu’s proprietary Wake Plus Hull is designed for sport-specific performance, delivering a stable ride, precision tracking and enhanced wake size and shape. 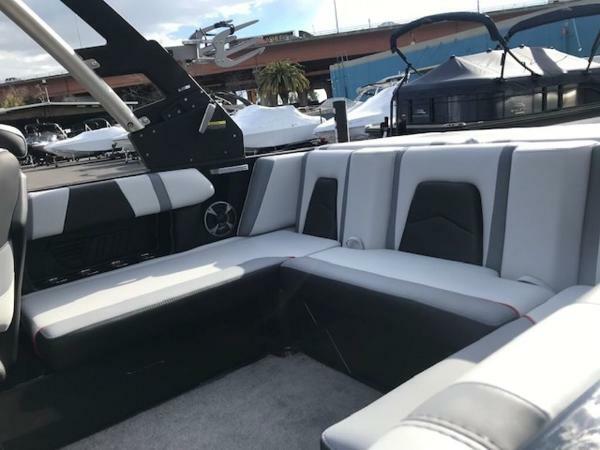 SEATING FOR UP TO 14 PEOPLE The 21 MLX is an incredible Malibu value, featuring a complete family watersports package with seating for up to 14 with a roomy pickle-fork bow for up-front lounging. INTEGRATED SURF PLATFORM (ISP) Malibu’s exclusive I.S.P. 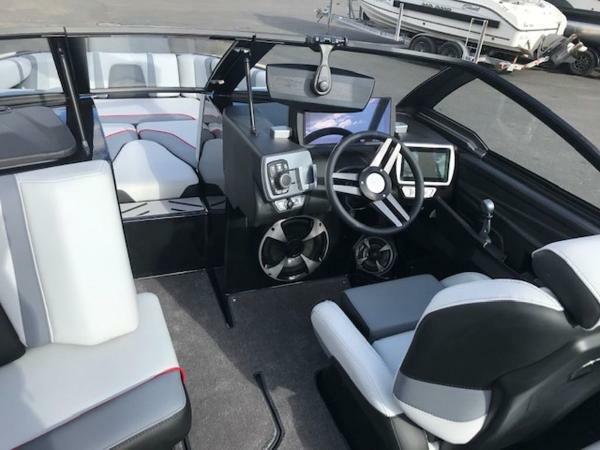 includes model-specific performance hulls, Hard Tank Ballast System, the patented Power Wedge III hydrofoil and revolutionary and patented Surf Gate. Control all wave, wake and ballast settings from the Viper II Command Center with the tap of a finger or use the exclusive Surf Band wrist remote to adjust surf settings, boat speed or speaker volume from the water. COMMAND CENTER & NEW HELM SEAT The Command Center is the smartest combination of digital interfaces and traditional controls in the industry. The bright, high-resolution 12-inch MaliView touchscreen gives you finger-tap control of the ballast, Power Wedge III and Surf Gate. New for 2019, our new helm seat with new plush fabrics and padding, gives you the ability to turn without rotating the seat. WITH A TRADITIONAL BOW AND PICKLE-FORK OPTIONS, THE LX SERIES IS AN INCREDIBLE MALIBU VALUE.